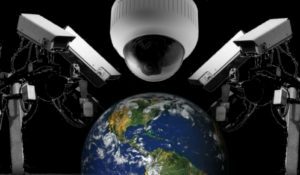 Is your “private life” being monitored? Absolutely! This is an issue I’ve been sharing with people since the early 1990’s. The response was usually one of utter disbelief. The derogatory term, “… conspiracy theory …” was often voiced. But here’s the thing: I knew a guy (a good friend of my family) from Germany whose father was employed by the New Zealand government, via the then national phone company Telecom, to install the system in New Zealand used to record and key-word analyse all land and mobile phone calls. I understand it was later modified to do the same for Internet data. I even know which build it was installed in. It’s still there, and (last time I checked) it’s still unmarked with any company names or logos. This was no theory. It’s impossible to imagine life without smartphones. Everything about our lives can now be contained in the palm of our hand. Personal details, professional contacts, banking details, photos, medical data, it’s all there, so you’d expect your smartphone to be secure. But in this special investigation Ross Coulthart discovers, we are facing the biggest threat to our privacy that the world has ever seen. The sensitive data contained on our phones is in fact open for anyone to see. Anyone in the know can bug or track your phone, from anywhere in the world. It’s long been the dirty little secret of international espionage, but now, organised crime, commercial spies and potential terrorists are exploiting this security loophole for their own gain. How it’s done has never been revealed before. This Sunday in a world exclusive 60 Minutes goes inside the world of hackers and spies to expose just how vulnerable we all are. This is the end of privacy as we know it. Are you ready to go even deeper down this rabbit hole? This next video (27 minutes) is well worth watching. Here’s a selection of books on the subject of privacy and surveillance which you may enjoy checking out. Here’s a related and interesting lecture on TedTalk. I think we must also consider spiritual monitoring, which is continuous. Are we not spirit beings in a 3D reality show? It seems new layers of artificial (or more material) reality are being created. The virtual/digital world is a simulacra of the astral world, and along with cyborgs, is an attempt to materialise spirit. Conversely, it may also be a form of reverse alchemy, recreating the crystal world through silicon and enable a viable soul container. We cannot forget that our self appointed gods and leaders need spirit as a food source, and are probably on the level of drug addicts themselves. We are very likely in a simulation within a simulation within a simulation. Yes, indeed. Although I suspect taking account of spiritual monitoring is beyond the capacity of most people without some degree of training. So it’s not something I get into in this article.